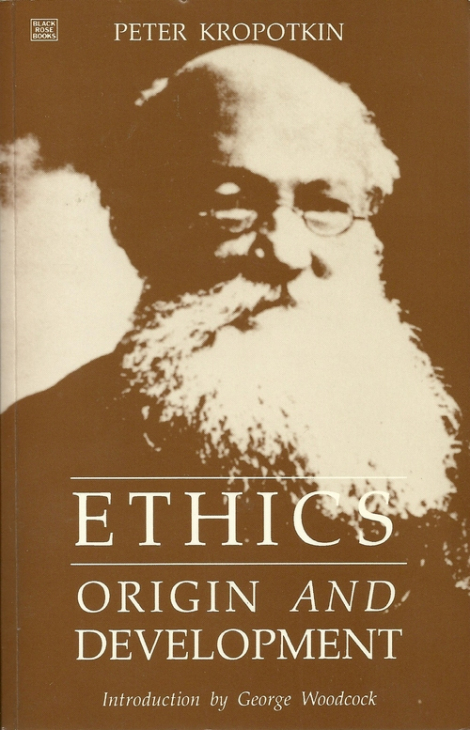 Up to this time all ethical systems were constructed more or less under the influence of religion, and not a single teaching dared to advance the equity of men and the equality of economic rights asthe basis of ethics. Proudhon attempted to do this as far as was possible in the days of Napoleonic censorship, always on guard against socialism and atheism. Proudhon wished to create, as he expressed it, a philosophy of the people, based on knowledge. He regards his book, “On justice in the Revolution and in the Church,” as an attempt made in that direction. And the object of this philosophy, as of all knowledge, is foresight, so that the path of social life may be indicated before it is actually laid out. Economics suggested one way out — the subdivision of labour in order to increase production, which increase is, of course, necessary; but it has also shown, at least through the testimony of some economists, such as Rossi, for example, that this division of labor leads to apathy among the workers and to the creation of a slave class. We thus see that the only possible way out of this situation is to be found in mutuality of service, instead of the subordination of one kind of service to another (I. 269), — and therefore in the equality of rights and possessions. This is just what was asserted by the declaration of the Convention of February 15, and July 24 of 1793, in which Freedom and the Equality of all before the law were proclaimed, and this declaration was reiterated in 1795, 1799, 1814, 1830, and 1848, (I. 270.) Justice, as Proudhon sees it, is not merely a restrainingsocial force. He sees in it a creative force, like reason and work. Then, having remarked, as Bacon had already done, that thought is born of action, and dedicating for this reason a series of excellent pages to the necessity of manual labour and of the study of trades in schools as a means of broadening our scientific education, — Proudhon proceeds to consider justice in its various applications: with respect to individuals, in the distribution of wealth, in the State, in education, and in mentality. At any rate, from the time of the appearance of Proudhon’s work, “Justice in the Revolution and in the Church,” it became impossible to build an ethical system without recognizing as its basis equity, the equality of all citizens in their rights. It is apparently for this reason that the attempt was made to subject this work of Proudhon’s to a unanimous silence, so that only Jodl was unafraid of compromising himself and assigned to the French revolutionist a prominent place in his history of ethics. It is true that the three volumes which Proudhon devoted to justice contain a great deal of irrelevant matter, a vast amount of polemics against the Church (the title, “Justice in the Revolution and in the Church,” justifies this, however, all the more because the subject under discussion is not justice in the Church, but in Christianityand in the religious moral teachings in general); they also contain two essays on woman, with which most modern writers will, of course, not agree; and finally they contain many digressions, which, though they serve a purpose, help to befog the main issue. But notwithstanding all this, we have at last in Proudhon’s work an investigation in which justice (which had been already alluded to by many thinkers who occupied themselves with the problem of morality) was assigned a proper place; in this work, at last, it is stated that justice is the recognition of equity and of the striving of men for equality, and that this is the basis of all our moral conceptions.